The gray skin gargantuan carried soldiers on its back to the battlefield. Its handlers drove it through parched deserts. With sun-scorched sands that burned to the touch, and across mountain ranges where flesh gnawing winds howl and the mounting snow pulls at your feet like quicksand. The lumbering animal bore not only the heavy armor of the soldiers but the lives of his brothers that perished in this mad march towards death. 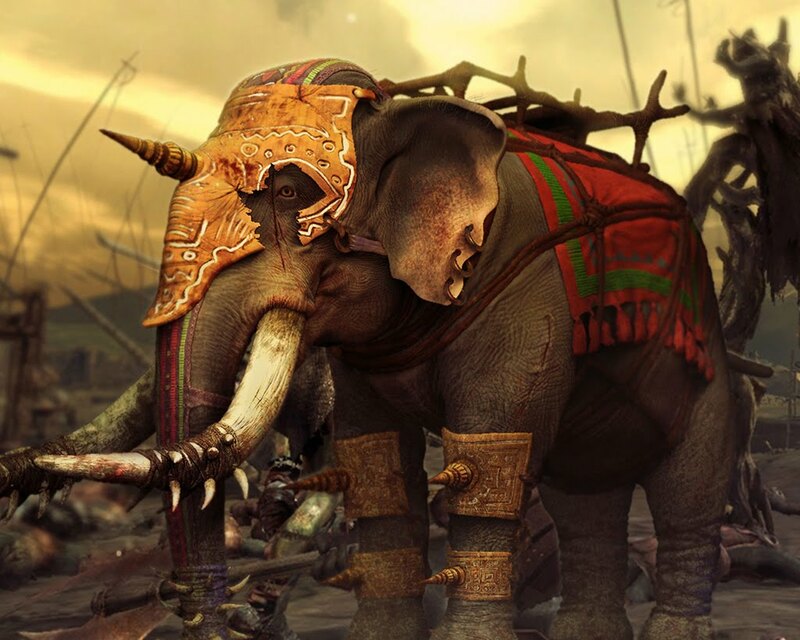 He watched the soldiers descend on an elephant that had fallen and dismember it with their swords so they could devour its flesh and leave a mountainous carcass for the flies to feast on. Its black marble eyes were heavy with sorrow and gleamed with the fresh tears that came whenever he remembers the hollowed eyes now just two dark chasms carved out just above a flaccid motionless trunk. When they reached the battlefield, the weary soldiers whipped themselves into a frenzy. Both sides banged their shields while they exchanged threats and insults. The beast of burden had its mouth forced open, and they poured a burning elixir down its throat. The hot liquid sat like lava in his stomach, and the nervous animal began to quake with a fear that would soon manifest into a body smashing fury. The cheering soldiers jumped on the elephants back and used a small blade to prod him to turn. The gentle giant instantly became a marauding machine of destruction. The frenzied soldiers raced him towards their foes all the while they kept the point of the spike pressed firmly against its neck making sure the sharp tip pierced the flesh. The pain reminded the elephant who his master was.